The story of Peace Yoga begins in a desert in Nevada, where Cheri Rae Russel and Gabe Guynes first met. It was a different kind of boy-meets-girl story, for sure, but it was real: The two were attending Burning Man, and Gabe “fell in love with her that first day.” He’d driven his ’76 RV out to the desert and spotted Cheri Rae from afar. She smiled back, and they were inseparable from there. But it would be some time before the beautiful LA sanctuary that is Peace Yoga would be created. It’s a jiggsaw puzzle in a sense, and to get the full picture, it must be explained piece by piece. Cheri Rae was disciplined and hard-working even as a girl. She was a professional ice skater, and at just 11 years old, she raked leaves and sold donuts door-to-door to fund the accoutrements necessary for a champion — the ice skates, the costumes. At 17, though, she critically injured her knee landing a jump. Yoga rehabilitated her, and it would soon become her life passion. So much so that she left the country to embark on a journey to pursue it. She learned from greats — Pattabhi Jois, Frank White, among others. In her odyssey, she taught everywhere she stopped — India, Thailand and a six-month residence at The Yoga Barn in Bali. It was during this time that Cheri Rae began the healing process from the death of her mother, whom she adored. She was posted in Thailand at the time when she received a persuasive call from her brother Robert, begging her to return to that states “to be an aunt.” Her nieces and nephews missed Cheri Rae, and Robert convinced the globe-trekking yogi to home. But when she finally touched down in her native country, it didn’t feel like home to her. That would take some time. Soon after her return, Cheri Rae had a realization while attending a grandiose wedding of a family member. Its excesses — the tuxedos and Vera Wang gowns — as well as the speed and indifference of the American way of life, made her long for Thailand and Bali. She felt healed from her wounds — from her knee injury and the death of her mother — but she didn’t envision herself staying in America long-term. The next day, a day before her late mother’s birthday, she flew to Burning Man, where she met Gabe, her “true angel” and the man who made her realize that she needed to stay home. When they returned from Burning Man, a long-distance relationship and the beginnings of Peace Yoga took shape. Cheri Rae was working hard teaching yoga at the Hive Gallery in LA, and Gabe was living in Oregon. Gabe provided financial support to help make the dream into a reality. He even refinanced his home. Cheri Rae is quick to credit Gabe as the mastermind behind their business, and she frequently refers to him as “an amazing businessman” and the “spirit” behind Peace Yoga. As I chatted with Gabe and Cheri Rae separately, a recurring theme kept emerging in our conversations: their deep love and appreciation for their community. They relayed their sincerest gratitude to the “miracle workers” who helped build Peace Yoga along the way. Cheri Rae cited a particular experience with a local plumber that touched her. After he and his wife were captivated by Cheri Rae’s vision for the studio, he offered to do the entire job for a small fraction of its costs, knowing Cheri Rae was working on a tight budget. Retelling this story moved Cheri Rae to tears of gratitude. The duo has found a way to pay it forward within their community since the opening of Peace Yoga and its subsequent success. It has become a 4,000-square foot oasis of peace and life for its students. Cheri Rae lives to help each person that steps foot inside her studio discover their breath and inner peace. 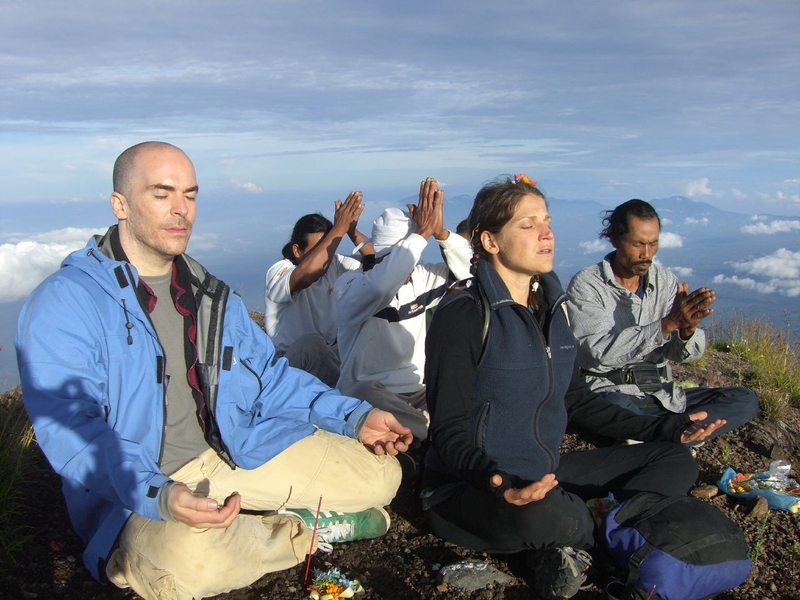 Peace Yoga helps busy Los Angeleans who think they don’t have enough time to breathe, to find their breath and slow down. Peace Yoga’s mission: Live Yoga, Live Food, Live Art, Live Music, Live People capitulates the studio’s essence in a snapshot. In addition to being a world-class yoga instructor, Cheri Rae happens to be a phenomenal vegetarian cook. 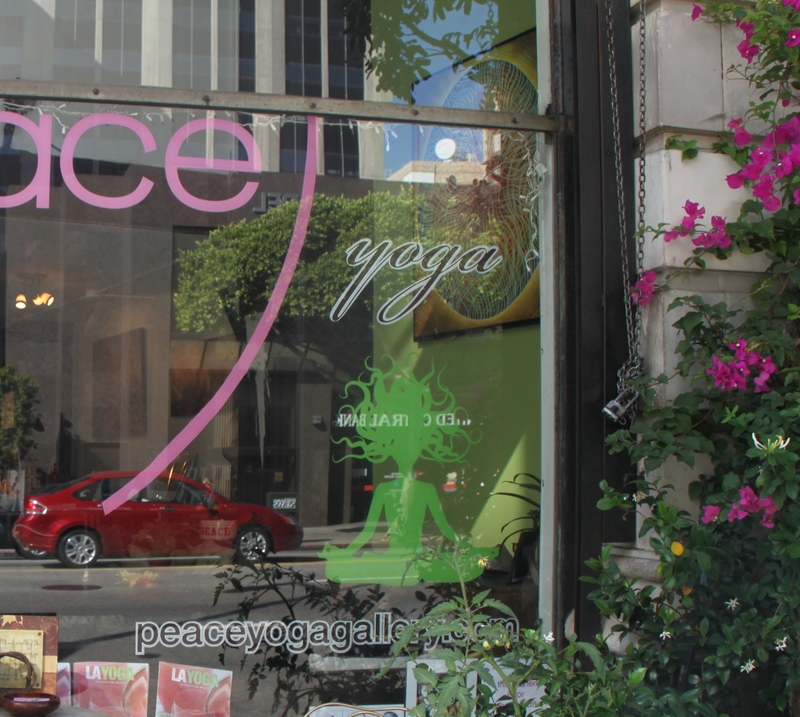 And so a raw food bar (the first and only of its kind in downtown LA) was a natural addition to Peace Yoga and all part of the experience they want their students to enjoy. That same passion you’ll find taking one of Cheri Rae’s classes, can be found in a mouth full of the food she prepares. Gabe says that it was Cheri Rae’s Italian mother who influenced her talents in the kitchen. Her mom would invite friends and families in the community over for dinner, and Cheri Rae felt that special connectedness with others at the dinner table from a young age. Many of the spices and flavors she grew up with now influence the vegetarian meals she creates. They’re currently working on expanding the cafe into a full-size restaurant which will surely offer those same savory flavors. Many classes feature live music, such as a live harpist who creates an angelic vibe with Cheri Rae. 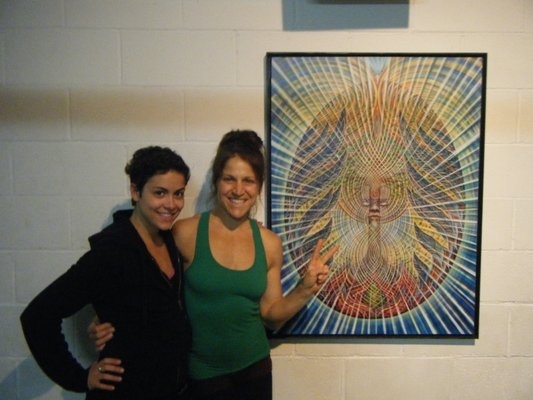 Their art gallery boasts world class visionary art daily and live painting during events. At night, the studio transforms into a special event space with an amazing custom sound system. They’ve hosted an array of events and private parties ranging from dinner/dance parties, yoga workshops, United Nations seminars, CD release parties, and nutrition and raw food classes. Somewhere in the middle of one of our conversations, Cheri Rae announced, “Lindsay, I have to go teach the kids, I will call you when I’m through!” I got the scoop later that the class was for a group of kids from the L.A. Conservation Corp. Teaching yoga free of charge to those in need is commonplace at Peace Yoga. Peace also donates time to Homegirls Industries, Japan relief projects, Solid Youth and the Los Angeles bicycle coalition. I asked Cheri Rae to share what brings her the greatest joy. The love Gabe and Cheri Rae share, and the love they put into Peace Yoga and their community, seeps out into the world beyond LA. The world as a whole is a much better place thanks to their service. If you’re bummed you don’t live near Peace Yoga, rest assured plans are in the works to expand elsewhere in the U.S. America needs Cheri Rae to help us all learn how to find our breath. Your are still as beautiful as I remember. And I’m still eating carrots, thanks to you, but I’m gotten lazy and now buy them pre-cut. Still driving a white convertible bug? Bringing the Farm to L.A.